ONEE has received a new grant from KfW. An allocation of approximately €70 million to finance three projects in the drinking water and liquid sanitation sector. The National Electricity and Drinking Water Board (Onee) and the Kreditanstalt für Wiederaufbau (KfW) signed three financing agreements for a total amount of 69.5 million euros on Monday, December 17, 2018. The loan is intended to finance three drinking water supply programmes (WSPs). It is the AEP project of Sidi Ifni (or Ifni), a Moroccan city in the central region of Guelmim-Oued Noun, located on the Atlantic Ocean. The city’s coastal area is home to a seawater desalination project. The project, which received €30 million in funding, will support the socio-economic development of surrounding towns and cities through integrated water resources management. The use of seawater desalination is dictated by the limitation of conventional water resources. The AEP programme for small and medium-sized centres has funding of €27 million. It plans to carry out measures to extend five existing water supply systems, in particular by increasing the production, pumping and transport of drinking water, to meet the future needs of the underserved areas (Kelâa des Sraghnas, Salé, Sidi Bettache, Berkane and Taounate). The AEP Programme for peri-urban areas in the Onee centres receives €12.5 million in funding. 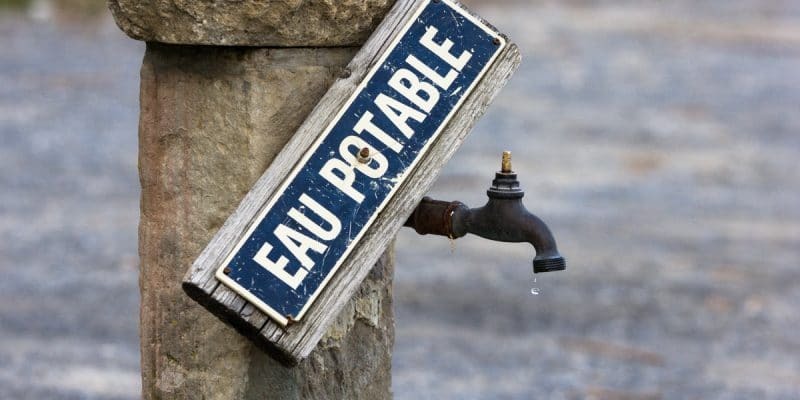 The target group of this programme concerns about 460 potential districts for which connections to drinking water networks are planned. The collaboration between Onee and KfW goes back several years. With this financing, KfW’s portfolio in Morocco amounts to approximately €800 million or 9 billion dirhams (DH), in the drinking water and liquid sanitation sector. The year 2011 was thus rich in investments for the Onee. More than 4.8 billion DH have been committed for the period. The Office aims to reduce the rate of access to drinking water in rural areas to 92%. Regarding liquid sanitation, the government launched a “National Sanitation Programme” (NSP) in 2005. Its ambitious objective is to achieve 60% of the collected water treatment rate and 80% of the connection rate to the sanitary network in urban areas by 2020.